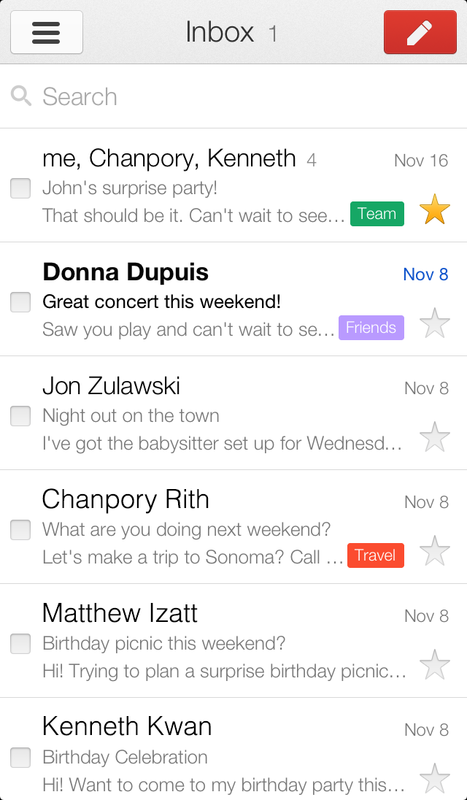 Six months ago, our team set out to completely rebuild the Gmail app for iPhone and iPad to give you you a faster, sleeker, and easier experience on iOS. The result? Version 2.0. With version 2.0 of the app, you'll get a totally new look and feel, plus a bunch of improvements like profile pictures in messages, numerous new animations from swivels to transitions and infinite scrolling in the message lists. The app also adds many new time-saving features. For example, when you search, autocomplete predictions will appear as you type, shaving off precious seconds (and typos). 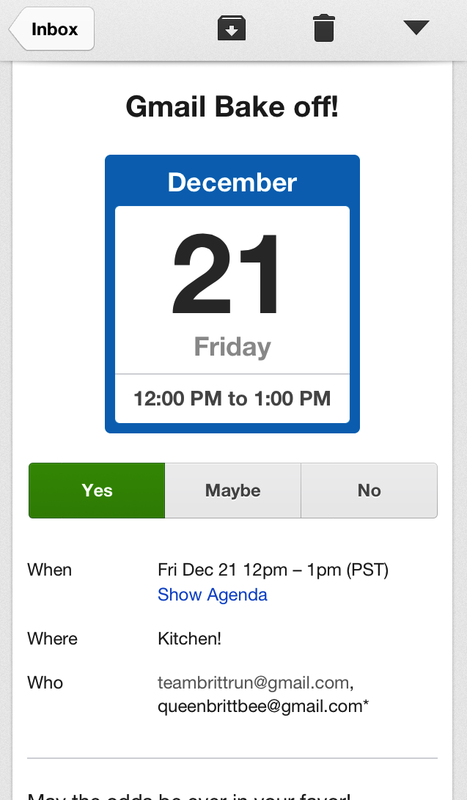 Plus, you can RSVP to Google Calendar invites as well as +1 and comment on Google+ posts directly from the app. 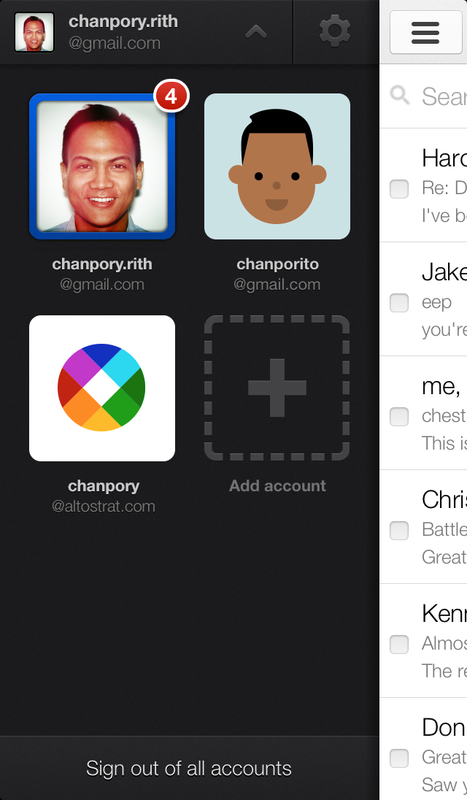 Last, but certainly not least, we've added a feature many of you have been waiting for: multiple account support. 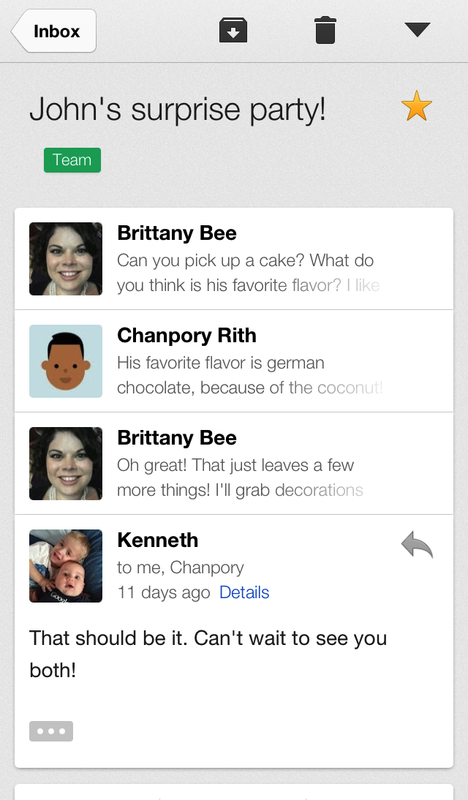 You can now login to up to five Google Accounts from the menu and switch between them with a couple taps. You can download the app right now from the App Store. We're excited to hear what you think!